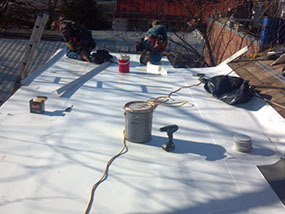 Among the various commercial roofing options, single-ply roofing is a popular one. Lightweight, durable and budget-friendly, it is a standout roofing product, and the experts at E&E Construction Company are adept at installing it. If your commercial or industrial building is located in the Parkersburg, OH, area, give E&E Construction Company a call today at (740) 331-0695 to schedule a free, no-obligation consultation and find out more about single-ply roofing! 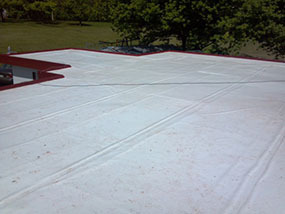 Single-ply roofing is a flat, polymer-based material that, when applied, forms a single waterproof layer. Whether you need to replace a roof or have one created for a new build, single-ply roofing is an outstanding option. The installation process begins with a thorough inspection of your existing roof so our technicians can get a clear picture and formulate the best plan. Throughout the process, the E&E crew will work hard to keep you fully informed and also complete the work in as timely a manner as possible. We know that time is money and that disruption to your business operations can make a big dent in your bottom line, so we strive to get the job done correctly and efficiently each and every time! When you’re looking for commercial roofing options, consider the many merits of single-ply roofing. E&E Construction Company can help you weigh the pros and cons of the various options available for your building and help you decide on the best choice for your particular roof and its needs. When your next roofing project rolls around, give the E&E Construction crew a call at (740) 331-0695. We offer free professional consultations and topnotch workmanship to get the job done right!